Authentic Father Christmas. Real Beard and hair. He is the real thing. “Dear Bobby, I brought my son, Tim, who has special needs, and my granddaughter, Jessica, to visit Father Christmas last Sunday and I felt that I had to write and thank you for a wonderful experience which far surpassed our expectations. We were welcomed by everyone and all of your staff couldn’t have been friendlier or more helpful. “We truly appreciated the thought and work that must have gone into creating the North Pole in Wych Cross. Father Christmas seemed to be completely at home there. “I hope this isn’t too late to get the message to Santa. My son is 8 years old and this year questioned Santa for the first time. One of the main reasons was that when he sees Santa he never knows who he is. Every year since he was little ‘Santa’ has sent an elf, in the form of a cuddly toy, to stay with my son. The elf is called ‘jingles’. This year my son wasn’t really interested in Jingles as he had doubts. “When we came to see Santa I handed the elf a message to give to him before we went in saying who my son was and who the friend was that came in with us and it also mentioned Jingles the elf. “Needless to say amazing Santa worked all of this into his session with the boys. Immediately welcoming them by name and he even worked Jingles into the conversation. He didn’t get much from my son because he was tongue tied in amazement. The very first thing he said when we left Santa was ‘Well that was definitely the real Santa’. “In a world in which everybody is so quick to complain, may I take this opportunity to congratulate and thank you! 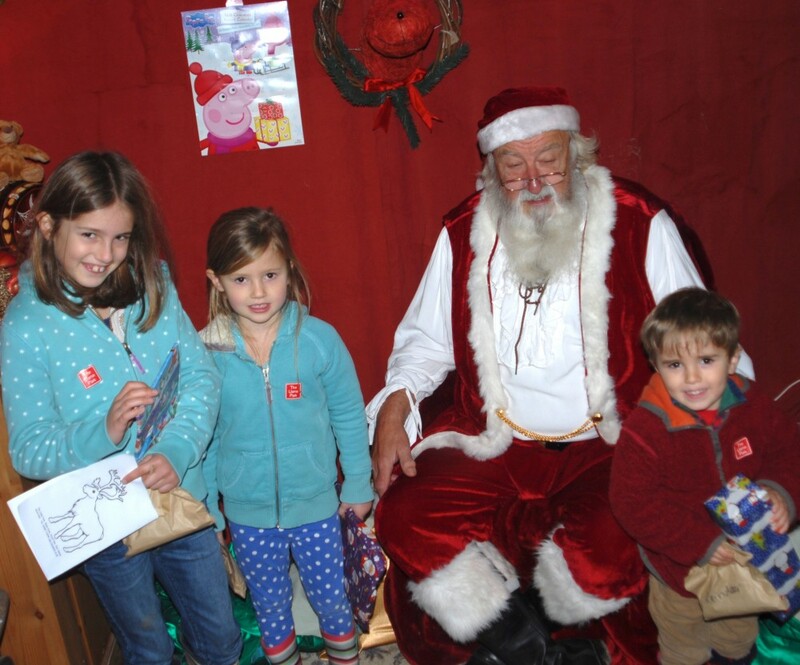 With my four grand children, we visited Father Christmas on Saturday. The children were spell bound, so too were the adults! He was real and he was lovely with the children. He had time for them and spoke to them with such care, depth and meaning. “The real Father Christmas ” – Spent a lovely Sunday morning at The Llama Park. The children loved feeding the reindeer, llamas, alpacas and other animals. 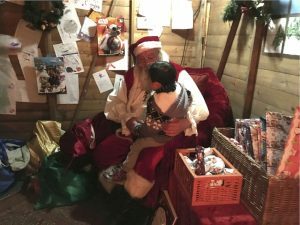 A visit to Father Christmas and his elves is a must… it’s best to book otherwise there’s a long queue, but it’s worth the wait ( I’m now a believer ) and the staff are wonderful. Finished with a great lunch in the cafe. 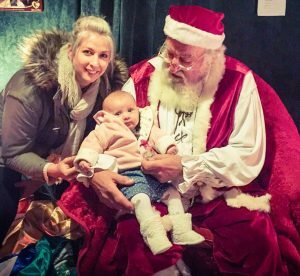 “Best Father Christmas – lovely place to visit” – This is our second year taking our children to see Father Christmas. After seeing him last year – there was no option to go elsewhere as he is the real deal! 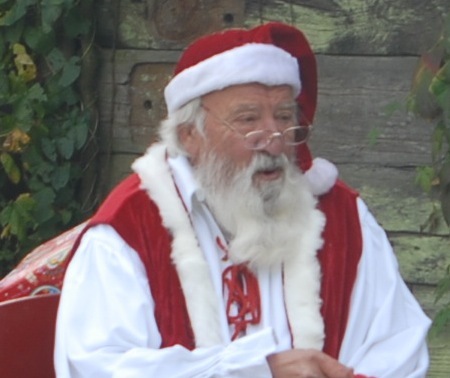 If you are looking for a down to earth, genuine Father Christmas experience. Perfect relaxed venue – simple and lots of reindeer and llama to see after. Charlotte. “No wigs, beards or pillows for tummies here. This is the best and most authentic Father Christmas I have seen in my 83 years of visiting Grottos. My Great Grand Children loved it.” Gerry. “Father Christmas was brilliant! Really authentic! Thanks.” Beckie. “Father Christmas was EXCELLENT!” Matt. “Santa was really great and had a very good knowledge of toys. Seeing the reindeer was a real highlight.” Teresa. “Father Christmas was amazing. He was a lovely man and the very best Santa by far!” Margaret. “We visited last year and came back this year because it is a very good Santa’s Grotto.” Gillian. “The best Grotto we have visited. Ollie the Elf keeps the kids entertained and Father Christmas is brilliant – very authentic!” Louise. “A good display of animals and birds outdoors. We have brought three lots of grandchildren to The Llama Park now and enjoyed an improving experience. Thank you.” James. “Really magical experience. An authentic Santa and Elf who were both really good with the children. Would definitely recommend.” Michelle.